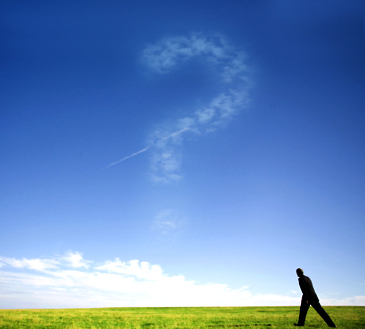 As non-resident property owners, many of our clients ask us several questions that start with "Why...?" In this section, we try to respond to the most common questions so that you're sure of what you are doing, and the reasons for the various actions you take with Tax Angels. Why do I need a Portuguese Fiscal Number? You will need to obtain a fiscal number if you wish to open a bank account, purchase property/assets or work in Portugal. Why do I need Fiscal Representation? According to the Portuguese legislation, ‘Non-resident’s, or ‘Resident’s who are away for longer than six months, are obliged to appoint a Fiscal Representative with residency in Portugal. Should I be registered as a ‘Resident’ or ‘Non-resident’? The consequences of your ‘Residency’ status are related with the payment of taxes on your income. According to the Portuguese legislation, if you are registered as a ‘Resident’, you have to declare and pay Taxes, in Portugal, on all the income you receive, whether it’s from Portugal or abroad (e.g. UK). Becoming a ‘Non-resident’, you only have to declare rental income on the Portuguese property, if applicable, or any other revenue you might have in Portugal. Why do I have to pay the full years IMI tax if I only gained ownership later on in the year? In Portugal the fiscal year runs from 1st January to 31st December. According to the Tax System, the relevant date of ownership is the 31st of December, and the owner on this date will be responsible for the full year’s IMI Tax. So for example, eve if you only gained legal ownership of your property on the 30th of December, you will still be liable for all IMI Tax regarding that year. On the other hand, if you were to sell you property on the 30th of December, you would not be liable for that year’s IMI Taxes. Should I cancel my Fiscal Representation if I sell my Portuguese property? After selling your property you are legally required to submit the corresponding Capital Gains tax return. Please note that ‘Capital Gains’ is just the common name given to this tax return, and it is mandatory, irrespective if you make a profit or loss on the purchase/sale of the property. This tax return is due in May of the year following the year of the sale, and should be processed by the Fiscal Representative. Only after having settled the full Capital Gains tax return process with the Fiscal Representative and the Tax Office is it suitable to cancel your Fiscal Representation in Portugal.